The Young Adult Leaders (YAL) Ministry of SS. 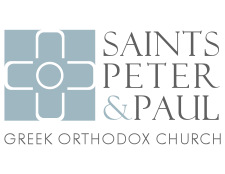 Peter and Paul Greek Orthodox Church aims to be a conduit of the holistic growth of our parish’s Young Adults toward Christ and His Church. Our YAL strives to accomplish this mission by intentional gatherings of Worship, Fellowship, Outreach, and Education for our Young Adults, giving them place to encounter the newest challenges that our society poses, all within the contact of the Orthodox Church.